Home / Team / Lawrence Simon Jr.
Larry Simon is an experienced trial lawyer focusing on complex, high-stakes litigation involving energy, oil, gas, title and property issues in Louisiana. Larry is known for handling oil and gas royalty and other mineral lease issues, energy marketing contract disputes and cases involving the processing of natural gas and the contracts affecting these operations. He also has experience in utility regulation, including telecommunications regulation, having served as counsel for the Louisiana Public Service Commission in its rate cases for Bell South Corporation, and in the implementation of price regulation for the company. Oil and gas companies and operators often turn to Larry when there are competing claims from a servitude involving a mineral lease. He is well-versed in the regulatory overlay in Louisiana and the history of the state's Civil Code and Mineral Code. "I know the mineral law and its history," he adds. "When I want to assert a right, I can explain why it's written the way it's written." For four decades, he has handled a wide variety of general commercial disputes in federal and state courts throughout Louisiana. His extensive experience in energy litigation cases covers each of the major substantive areas affecting the oil and gas industry for the past 40 years. He also has broad experience litigating issues involving regulatory rulings and orders of the Department of Conservation. 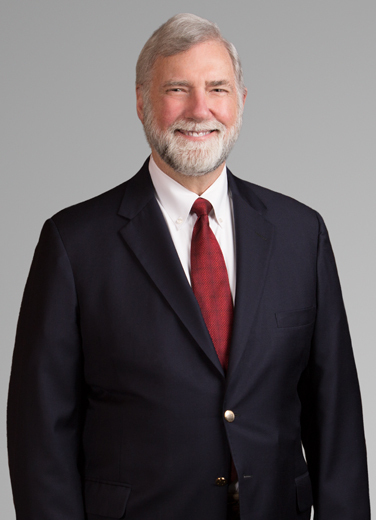 Larry received the Instituite for Energy Law's Lifetime Achievement Award for Energy Litigation in 2015, and was inducted into the Lafayette Bar Association Hall of Fame in 2018 for his exemplary career, dedicated service to the community, and participation in the Lafayette Bar Association. Larry helps energy sector clients with their complex, bet-the-farm cases throughout the Gulf Coast. In his more than four decades of work, he has earned a reputation for cover-to-cover knowledge of the Mineral Code of Louisiana, particularly the historical background of its rules and regulations. He is regularly called on to handle title issues, contract litigation involving mineral rights and the payment of mineral royalties and cases that deal with the valuation of crude oil or natural gas for royalty or other purposes. In the precedent-setting case, Larry was part of firm’s team defending six oil and gas, E&P companies in Texas. The claim against them involved a challenge by landowners to units established by the Commission of Conservation. In pre-trial motions, the defense team argued against revising or nullifying the thousands of units at issue, saying instead that they had been properly granted. The defense convinced the trial court, lost in Court of Appeals after several hearings and eventually prevailed in the Louisiana Supreme Court, which in 2014 reinstated the trial court’s decision confirming the validity of the units. "We identified several core issues," Larry explains, "regarding the method of challenging the Commissioner Orders as exclusive. We understood the history of the law and how to attack the plaintiffs' assertion." Larry represented a major energy producer in a legacy case where landowners filed claims for land damages, in addition to claims for royalties on the processing of gas they allege weren't properly paid on leased land. "The accounting on the processing claim," as Larry put it, "was very complex." Larry was invited to help with a lease case being handled by other lawyers. "It had become bitter and personal between the lawyers, when the case was really a pretty straight-forward question of accounting." Larry stepped in, things calmed down, and the claim was settled for $250,000…when it had been $1.5 million. Best Lawyers 2019 - Natural Resources Law "Lawyer of the Year"
Larry speaks French. He served in the U.S. Army Reserve for six years and attended the U.S. Army Intelligence School at Ft. Holabird. Prior to his law career, Larry received a theology degree from the Catholic University of Louvain in Belgium. "I enjoy reading philosophy, history and fiction. And I really enjoy travel and duck hunting."